East London five-piece folk band Stick In The Wheel are headed by singer Nicola Kearey, and guitarist/producer Ian Carter. Their debut From Here(2015) was fRoots magazine ‘Album of the Year’ and a MOJO ‘Folk Album of the Year’, with four BBC Folk Award nominations since their inception in 2013. Known for Kearey’s fierce, authentic delivery, this is culturally and politically switched on music with its roots firmly embedded in the genre’s traditional, working-class heritage. 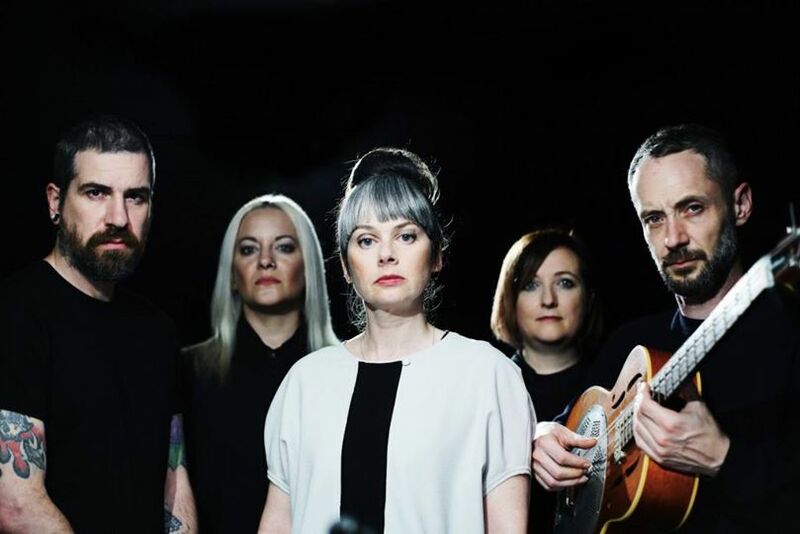 The group have been widely commended for their timely appraisal of English Folk, and their skill in telling stories through song that reconnect modern audiences to the past – drawing unexpected parallels between then and now. Their second album Follow Them True is released on 26 January 2018. The songs within examine rituals and cycles, our inherent power to change ourselves and the world around us, the past repeating itself, ghosts and death, land and place, thieves and beggars. It continues to question the notion of what folk music is, and what it means in 2018. The new album expands the radical sound of their debut to include electronic and found sounds, using a broader sonic palette to create a greater depth full of layers and meaning, yet at the same time remaining totally connected with the tradition.